We know cushions inside out so that you don’t have too. The easiest and most effective way to get the best fill for your cushions is for you to send us your empty cushion covers. This way we can use your cover as a template and we can manufacture your cushion filling. We can create the filling you require to your actual cover, taking the stress and hard work out of your hands and giving you the best outcome. If your cushions are an unusual shape and size, please contact us directly and we can discuss how to proceed. We need the measurements of the cushion cover that you are looking to fill. 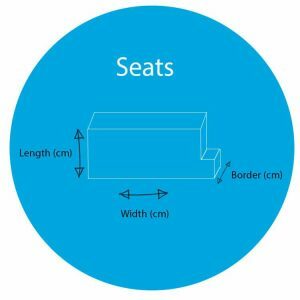 Turn your cushion cover inside out and then measure the dimensions as shown in the diagrams below. 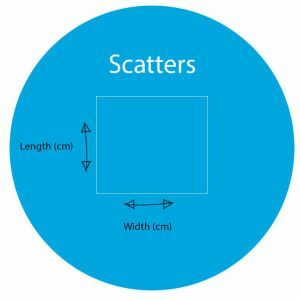 It is extremely important that we get these measurements correctly and accurately as we will use them to produce your order. Once we have the sizes from you, we will be able to make the cushion filling. (in bold font) We will very slightly oversize the cushion filling to make sure that you get the full and plump fill your cushion covers will need. Our fillings will never be smaller than the empty cushion cover measurements you give you us. If you are ready to input your measurements, please choose your cushion type at the top of the page. You can easily measure out a template to send in to us. Just follow the three easy steps below. Remove your existing cushion cover and turn inside-out, lay the cover on a large piece of paper/newspaper. Draw around the cover with a marker pen making sure the cover is fully stretched out. Cut out your template and carefully fold up, send in to us at The Cushion Guys and please remember to make a note whether the cushion is for a seat or back. Click below to view the type of cushion filling best for you. If you are ready to order, click in to your cushion type and add it to your basket. Would highly recommend The Cushion Guys. Delighted with our new custom-made cushions. Reliable, great quality and brilliant customer service. Couldn’t fault anything.